Infinity Ward & Activision have announced the third DLC pack for Call of Duty: Ghosts. It’s called Invasion and will be releasing for Xbox 360 & Xbox One on June 3rd, followed by other platforms at a later date. 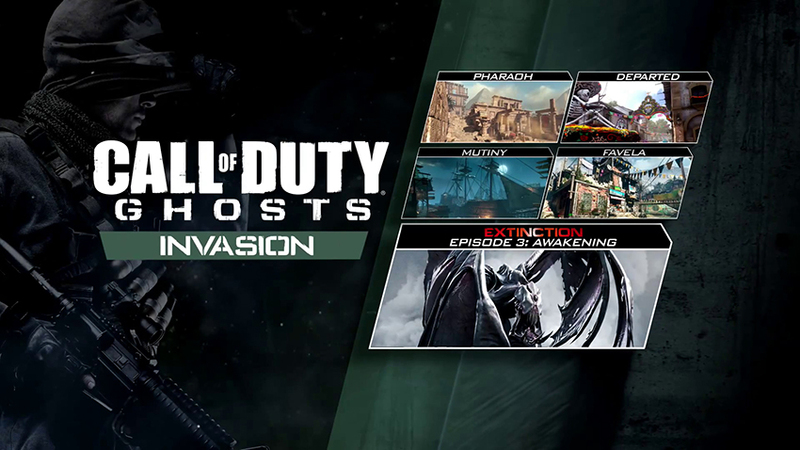 Invasion will include four new multiplayer maps and Episode 3: Awakening, the third chapter of the Extinction DLC. 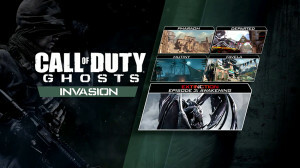 Invasion will be available as a separate purchase for $14.99 or as part of the Season Pass for $49.99. The maps in Invasion are called Departed, Pharaoh, Mutiny, & Favela. 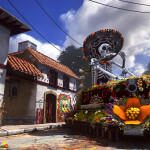 Departed will be a medium map set in a rural Mexican town. The Day of the Dead celebration is taking place at the same time so the map will feature decorations from that holiday. If you complete the Field Order for this map you’ll unlock the Death Mariachi killstreak. 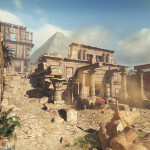 Pharaoh takes place at an excavation site in Egypt, where a palace has been unearthed. This map will feature scarabs, monuments that may fall on top of you, as well as an unknown reward from Anubis for completing the Field Order. 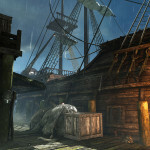 In Mutiny you’ll be fighting it out in Caribbean island setting. A pirate hideout is nearby as well. There will be a pirate ship you can fight on. If you unlock the Field Order, you’ll gain the ability to send your enemies to the murky depths below courtesy of a pair of ghost pirates. Favela is a remake of the same map from Call of Duty: Modern Warfare 2. 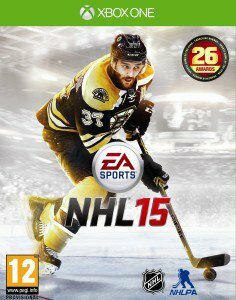 Some changes include the completion of buildings which were previously still being built and other buildings that are now crumbling. If you complete this Field Order, you’ll gain an airstrike ability. In Extinction Episode 3: Awakening, you’ll be exploring the base of the Ancestors, who are behind the Cryptid invasion. 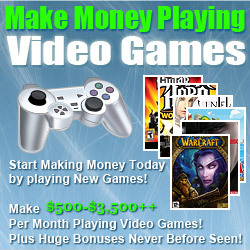 You’ll have to make use of new equipment to reach the Ark and gain access to the Ancestors’ power.